You might think from my lack of recent posts that things have been quiet around here with nothing to write about. Nothing could be further from the truth! The last couple of weeks have flown past in a blur. I've been sewing costumes for the school play, turning long trousers into knee length trousers with decorative bows, working on my daughter's ball gown (also for the play) and making decorated buckles for shoes. I will have pictures eventually! I've also been painting scenery which I love doing too. Additionally I've been having physiotherapy twice a week on my forearm after doing some damage to the muscle and elbow joint while lugging my bag around England this summer. Tia joined our family this afternoon. She is a two year old retired racing greyhound. She is black and white with stunningly beautiful amber eyes. 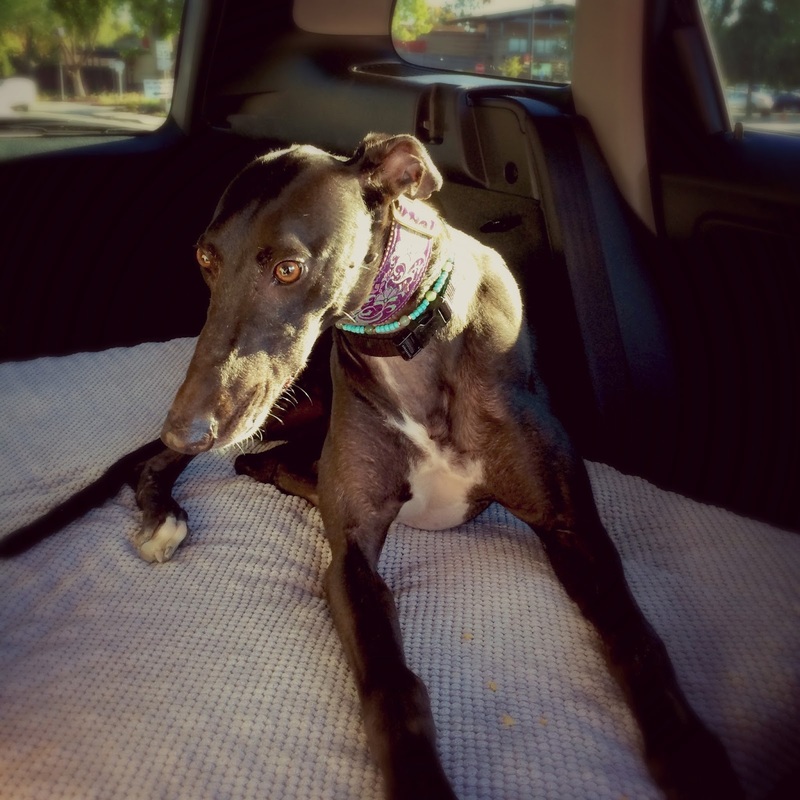 We adopted her from the Golden State Greyhound Association here in Northern California. The adoption process has been grueling and taken several weeks with a home visit and lots of reading and being tested on our new knowledge. 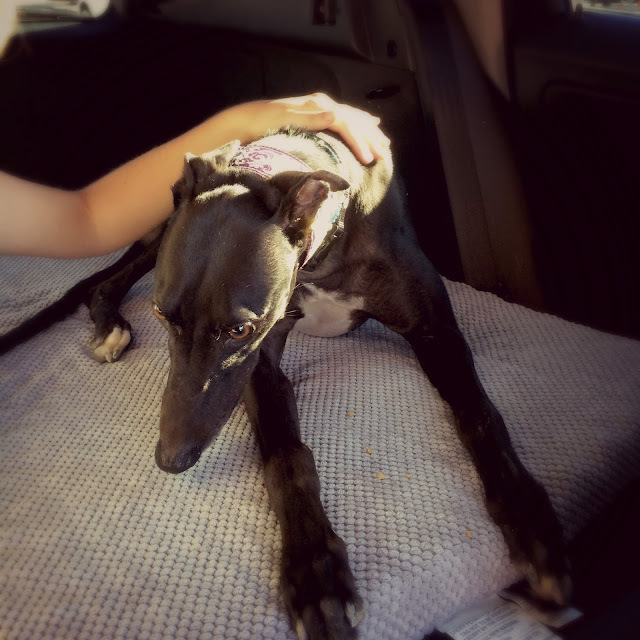 We didn't know for sure we'd be approved to adopt a greyhound until this last Thursday. Today we picked her up. What a gorgeous girl. She is small for a greyhound but still seems pretty big to us! She is conked out right now, fast asleep on her cushion near us as we watch an episode of Top Gear. She is happy and relaxed and not in the least interested in our two cats.